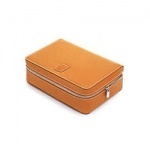 Acqua di Parma Travel Bags and Leather Goods are exclusive and handmade to the highest quality. 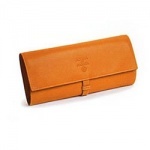 Acqua di Parma leather collection contains calf skin leather wash bags completely hand made using the finest Italian craftsmanship. Combining timeless style and elegance with function and practicality, these superior items will provide a lifetime's worth of service and give a lifetime of pleasure and style.